The Northeast Indiana Chief Information Officer (CIO) Forum is comprised of Information Technology leaders (CIOs, IT Directors, and IT Strategists). We meet quarterly, in various locations, sponsored by the group or other strategic partners, to discuss IT issues, trends, and best practices. This conversational series of sessions are designed to allow the free and confidential exchange of ideas so that CIOs and IT leaders can optimize their Information Technology operation. 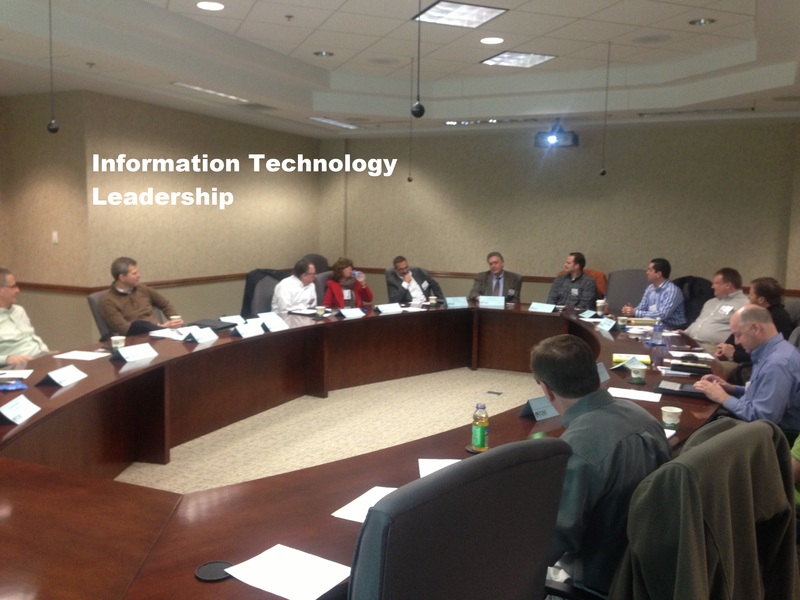 The Northeast Indiana CIO Forum self-select the topics. The attendance in the group is limited to optimize the discussion. It is not a sales meeting of any type, although we do review appliances, applications, tools, and methodologies. It is designed to help CIO and IT Leaders remain connected to technology trends. Contact us at 260-403-5855 if you are interested in joining this group or sponsoring a quarterly meeting. Additionally, various corporate sponsors host networking and learning events during the year. Based on the survey feedback from our 3Q meeting, it seems like the right time to have a more social and less structured meeting. Less structure but not unstructured. Our host for this meeting is Julie Freigang, CIO, Franklin Electric Company, 9255 Coverdale Rd, Fort Wayne, IN 46809. The Thursday evening meeting departs from our usual schedule and will feature some after work hors d'oeuvre. The event will start at 5:30 PM to give you time to arrival and end with enough time to return to your family and recoup for the next day of work.